What is Buick thinking? What am I thinking? Before you push play on the video above, mute your sound. Then watch the video. What is this first thing that pops into your head? Now, watch the video again and turn up the sound a bit. The first time I saw this on TV I was all over this as it seemed Buick was telling us to use our phones as we come in for landing (when all devices should be off). But, they add the little “squeak squeak” of the breaks to sorta show the Buick owner had landed 1 nanosecond before he took out his phone to start his car (still too soon as you are to wait for the announcement before you do that, right)! I know this is just a quick short commercial and you can only do so much but just wanted to see what you all thought about it too. Next to the “what am I thinking” part. I don’t care for Facebook. I have yelled from the blog that I will NOT have a DeltaPoints.com Facebook page. I am backpedalling on that due to so many requests. I get that many readers love their facebook and would like to have posts be auto added to their page so they can see what is up at DeltaPoints. To that end, I have added auto posts for each day’s blog to Facebook, Twitter, Linkedin & Tumblr. Other than Twitter, that I do use each day, these other sites will just be info posts about what is on the blog for the day. That’s it. ← Delta is buying Pinnacle Airlines what will it mean? I get you via RSS feed…. None of the above – I’ll visit in a browser. But to answer your more important question – what was this first thing that popped into my head when I saw that commercial? 1. She’s Jack’s wife on Jack In The Box commercials. 2. She’s the spouse of the formerly-clueless traveler (“slip-on shoes with no laces”) who finally got a United MileagePlus Explorer card (learned from his savvy friend with club passes – now he’s off to the tropics with Jack’s wife and she’s swooning, saying her mother was so wrong about him). 3. She’s a mom/housewife who gets to actually take time to READ A BOOK because some cleaning product gave her back her life (although her daughter becomes a spoiler) and about 10 more commercials. 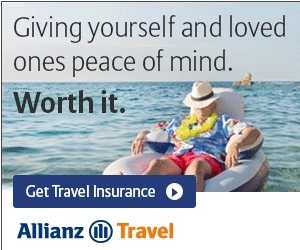 I guess she has “the look” that all advertisers want for a young-ish, blonde, attractive, spouse/mom. But I’ll never be able to forgive that woman for two-timing (six-timing?) Jack. How could she? I like getting the instant updates via the RSS feed! I will follow you on Facebook, Twitter, and email. I like to read at my leisure and sometimes miss posts on FB and Twitter. Subscribed to Email last week, and following on Twitter this week. I have Facebook, but not sure I will sign on for that. I only do RSS feeds that go to my reader for blogs. Email is already too clogged and social networks are geared towards people I actually know. I prefer Twitter and my daily Email feed but I’ll “like” you on Facebook too. I follow you on Twitter… and read your blog from the internet. I think I would like to have a car that not only starts remotely, but that would also drive over from the lot and collect me at the terminal. Can you work on that, Buick? Not facebook. Prefer email or browser! 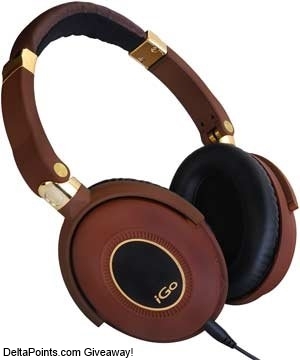 Thanks for the opportunity to win some much-needed new headphones! Email subscription. Really hate social networks. Especially contests on them. I have you via email! Twitter – maybe. I get too many Twitter feeds as it stands. Linkdin – I’m a member but probably would not follow you there. Twitter and Text for me. Tumblr or e-mail for me. This site is the easiest for me. I keep it bookmarked. Have been an email subscriber. Just now did a “like” on Facebook, and a “follow” on Twitter. oh and like the last comment, by text. and another commenter said via the web site. i do that, too. ps would love headphones! Facebook: if nothing more than to encourage my friends to also check out your savy and sage advice. I’m already following you on twitter so that’s done. Linkedin i only use when I’m in the job market and currently i’m quite happy so i rarely get over to that site. happy you’re sharing your posts on other platforms though. GO RENE!! Does the new Buick Enclave have temperature control, defrost, etc.? Weather is unpredictable. If you’re on a two-week vacation, who knows what you’ll need to set your vehicle temperature at before you fly. I have learned a ton in a very, very short time. While sometimes I think I suffer from “information overload” the stuff I have learned to do and achieve has been nothing short of amazing. Most importantly, the information is not useless but exactly in line with what my needs and wants are. If someone would please pass this on I would appreciate it. Twitter, email, text messages. Everything else is too cumbersome. RSS is my preferred method, but Twitter is good too. email, twitter and boarding area. I follow on Twitter and text alerts. Thanks for the good work. E-mial only. The last time I tried using Facebook, I was in Kyrgyzstan, and my hotmail account got shut down…… suspicious activity. That was a first and last for me!! I visit the site on a daily basis. Sometimes, multiple times a day. Browser, email, and maybe Facebook (maybe). Following on Twitter and Facebook, and on Boarding Area. Love the info. Your blog online, e-mail, or perhaps Twitter. Wherever it is, keep it coming! Facebook, Twitter, RSS and Email. I live and breath social media, heading up that department for a digital agency, but if it makes you feel better about Facebook, there is some tremendous value for SEO and blog traffic there. Not as much as Google+ (which is missing from your list), but even if you just post once in a while, you’ll see some benefit from the tech side. And on that note, if you ever want some great tips on making that experience much more hassle-free (as you have done for me and my Medallion-loving self), send me a tweet and I’ll send along some free resources and tips. Also, I tried connecting with you on LinkedIn, but as you are set up as a person and not a company page, people will have to know your email or have worked with you in a different company to ask to connect. 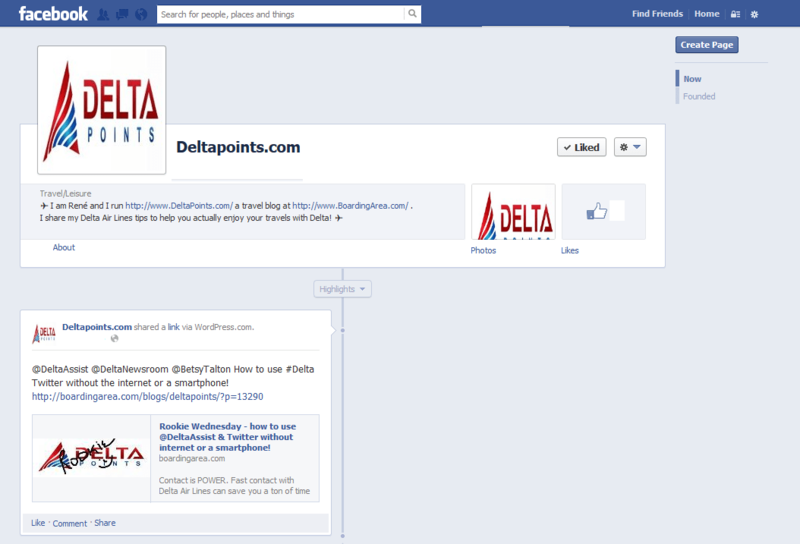 Perhaps you can create a DeltaPoints company page so we can all follow you there? Another vote for email and online blog. Thanks! Email only! I agree with your first comment about never getting these type of accounts. I am with you, Rene. No Facebook. I use it, but I don’t “like” companies – I only use it for personal friends. And I check Twitter sometimes, and would follow you. But I like the blog/email setup now – it serves my needs. Could you have your blog posts auto-post to Facebook, so you never have to look at it? The online blog thanks to my husband! I follow through E-Mail and I am confirmed subscriber. Might do FB too. Not a twitterer (yet) but I do check Boarding Area daily too. Email and I currently subscribe. I’ll use Facebook for friends and such but never for anything money or ad related. Don’t trust em!